Sleeping at airport hotels is just so much better than sleeping in the waiting area. One of the main benefits of these airport hotels is that they are inside the terminals themselves — there’s no need to take a shuttle or pass immigration and security checks just so that you can take a nap. They’re convenient and you can literally hop on your flight as soon as you check out. If you’ve ever experienced trying to sleep on an airport bench during a 9-hour layover, you know how exhausting it could be. It’s noisy, the lights are always on, and the benches seem to be specifically designed to be as uncomfortable as possible. Plus, you have the occasional disgruntled airport personnel yelling that you aren’t allowed to sleep there (based on personal experience). If you find yourself at the airport waiting for your connection, try an airport hotel. It’s more comfortable than sleeping on the floor or on a bench. 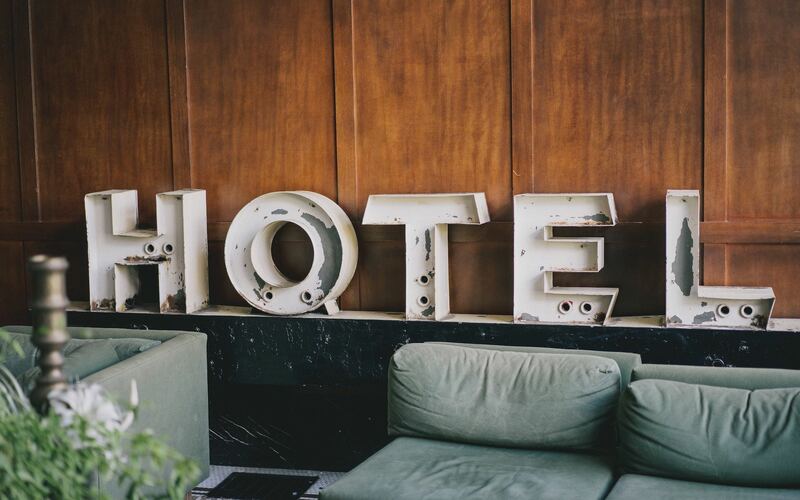 And while some on-site hotels tend to be quite luxurious due to their prime location, they are actually more affordable than most people think. Many major airports have some sort of hotel inside the airport itself, designed specifically for people who are waiting for their flights. As such, they allow you to book them for shorter stays— just long enough to doze off and feel refreshed before getting on your flight. For a budget option, try the YOTEL hotel at Amsterdam Schiphol Airport. YOTEL is a franchise and is available in airports all over the world, with branches in New York, Boston, and Singapore. Though YOTEL hotels offer a range of different room options, their branch in Amsterdam Schiphol Airport is largely a “capsule” or “cabin” hotel. For those who aren’t familiar with the idea, capsule hotels are closed off bunk-style rooms that were first popularized in Japan. YOTEL does go a step further though, offering not only single-bed capsule rooms, but also larger rooms with Queen-sized beds, and family rooms featuring multiple bunk beds. Looking for an airport hotel in Vancouver? The Fairmont Vancouver Airport Hotel is located inside Vancouver International Airport in Canada. This luxury hotel features beautiful suites, a bar with live music seven nights a week, and its own spa. The spa offers multiple treatments designed specifically to help you get over jetlag. The hotel even offers day use rooms, for those who are only traveling through. Price: Day rooms start from $124/night, with a 4-hour minimum stay. Those who are looking for a quick nap at an airport hotel in San Francisco, will find the FreshenUp nap rooms to be a convenient choice. It is based right inside the international terminal and has all the basics — a bed, Wi-Fi, a desk, and a mirror. If you want to shower, you can do so for an additional fee. What’s unique about FreshenUp is that it is literally made just for layovers — you can pay by the hour, which starts at $40. In the evenings, you can stay longer, for up to 8 hours! Price: Nap rooms start at $40 per hour. Another luxury hotel, The Westin is a beautiful airport hotel in Denver International Airport. Found right inside the terminal, it offers an array of amenities and choices of rooms. Like most American hotels, it has its own bar and grill restaurant, where they offer delicious steaks and signature crafted cocktails. It also has its own art gallery, various conference and meeting rooms, and a spacious ballroom. Airport hotels in Singapore really live up to their name, and the Crowne Plaza Hotel is surely a king among them. This Skytrax award-winning hotel is located right at Changi Airport, and just a stone’s throw away from all of the city’s most popular attractions, including Changi Museum, Changi Village and Beach Park, and Sentosa Island — Singapore’s premier island getaway. It has gorgeous, modern interiors overlooking the tarmac, its own club, and access to a variety of restaurants, where you can even try Singapore’s most beloved dish: chili crab! Erica, from The World Wide Webers often travels with her family, and is always on the lookout for a child-friendly hotel. She says that this Singapore airport hotel is one of her top choices for airport accommodation. “Staying at an airport brings down the cost while skyrocketing convenience on a travel day. This hotel is among one of my favorites: Crowne Plaza Changi Singapore Airport. The Hilton hotels are some of the most recognizable hotels in the world and are known for their consistently good service and excellent facilities. Though a bit on the luxurious side, these hotels can be trusted, no matter where they are located. You can find Hilton hotels in airports all over the world, including Schiphol Airport in Amsterdam, the Netherlands, and at Munich Airport in Germany. Erica of The World Wide Webers, also counts Hilton Hotel in Amsterdam Schiphol Airport among her favorites. For an airport hotel in Hong Kong, Regal Airport Hotel is a great choice. It offers 24-hour room service and is connected to 6 on-site restaurants to suit nearly any palate. You can book practically anything from the hotel itself, including car rentals, shoe shining services, babysitters, and of course, massages. The Regal Airport also offers day rooms for when you just need a good nap before your flight. Of course, no airport hotel list is complete without Japan’s ultra-compact airport hotels in Haneda, in Tokyo. First Cabin, which is located in Terminal 1 of Haneda Airport, was a bit of a curiosity for tourists before it was more widely adopted around the world by hotel chains like YOTEL. These capsule rooms are tiny — they are literally the size of the bed, with just enough room for you to sit up. You have to climb up and crawl into the cabin to sleep — extremely convenient if you just need a quick nap, but not ideal if you are claustrophobic. The rooms are tight and have no windows, with very limited privacy as there’s only a tiny door separating you from everyone else. Nevertheless, it is an extremely affordable choice, with impeccably clean rooms and facilities, complete with a large, Japanese-style public bath, where you can sit in the hot water and relax with other guests of the hotel. Sleeping at an airport doesn’t have to be a miserable experience. Whether you settle for a capsule hotel or shell out for a more luxurious experience, airport hotels make your layover so much better. You can sleep in peace without worrying about missing your flight, as they are literally based inside the terminal. For further reading, we’ve also compared hotels, hostels, and AirBnBs so that you can make better choices when booking your next holiday accommodation. Do you have any favorite airport hotels? Share them below!